Urological disease experts assert that between 35-50% of males experience symptoms of Prostatitis at a particular time. 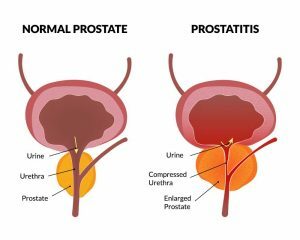 Individuals with Chronic Prostatitis have an inflammation of the prostate gland, a small gland located below a man’s bladder. The symptoms of prostatitis are similar to those associated with an enlarged prostate and prostate cancer. The four main symptoms are urological pain, lower urinary tract symptoms, psychological issues and sexual dysfunction.Unlike Chronic Bacterial Prostatitis, Chronic Prostatitis is not caused by bacteria or an infection. Men with this condition have symptoms that come and go over a period of several months. Have you experienced urinary incontinence as a result of Chronic Prostatitis? Post a new question on our forum and share your experience with others. It is often hard to diagnose Chronic Prostatitis, as the causes are unknown in many cases. 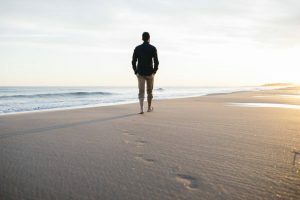 Surprisingly, studies have shown that some causes of Chronic Prostatitis can even stem from problems that have nothing to do with the prostate. It is estimated, however, that 50% of men with Chronic Prostatitis have some kind of pelvic floor disorder that may be related to chronic tension or stress. If men continuously tense their pelvic floor muscles, this can lead to chronic pelvic pain. Specialists also suggest that an autoimmune response could be responsible for inflammation of the prostate. An autoimmune system may prompt cells to produce chemicals that cause inflammation. Surveys have indicated that certain lifestyle habits can increase the risk of developing the condition. Not getting enough sleep, smoking, drinking alcohol of having a lack of social support are all factors that may cause Chronic Prostatitis. Men with nerve damage in the lower urinary tract due to surgery or trauma may be more likely to develop chronic prostatitis. Psychological stress can also increase a man’s chances of developing the condition. Individuals who have a hectic lifestyle and experience stress are at a greater risk of developing Chronic Prostatitis. One of the most annoying symptoms of Chronic Prostatitis is the strong urge to urinate immediately (Urge Incontinence). It is also common to experience difficulty starting the urinary stream and having a weak urinary stream once it starts. It can also cause dribbling after you think you’ve finished. Chronic Prostatitis can also cause frequent night-time urination, also known as Nocturnal Enuresis. You should remember that some symptoms of Prostatitis are also characteristic of urinary tract infections. It is therefore important to consult your healthcare provider if you are suffering from these symptoms. How is Chronic Prostatitis Treated? Although you may be embarrassed, you should remember that Doctors hear about this condition on a regular basis. They can provide you with invaluable advice on treatment options. Chronic Prostatitis can be diagnosed based on personal and family medical history, a physical exam and medical tests. During these exams, health care providers can examine a patient’s body and performs a digital rectal exam. Talking to professionals can help you become fully informed about the possible underlying causes and treatment options. It can also be useful to have an expert explain the chronic pain cycle for further understanding. In addition to seeking advice, stress is another important lifestyle choice to reduce the risk of your symptoms worsening. Are you unsure whether your incontinence is caused by Chronic Prostatitis? Read our section on Causes of Incontinence to determine whether your incontinence is caused by another health condition.